A pharmacy technician’s role and responsibilities are guided by State rules and regulations as well as employer policies. 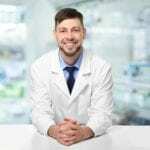 Common duties include receiving written prescriptions from patients, receiving prescriptions from a physicians’ offices, preparing medications, preparing prescription labels, pricing and filing prescriptions, preparing insurance claims, and refering questions regarding prescriptions and drug information to the pharmacist. Employment for pharmacy technicians is expected to increase 12 percent from 2016 to 2026, faster than the average for all jobs. The positive outlook can be attributed to an increase in the senior population who are suffering from multiple chronic illnesses and in need of medications. 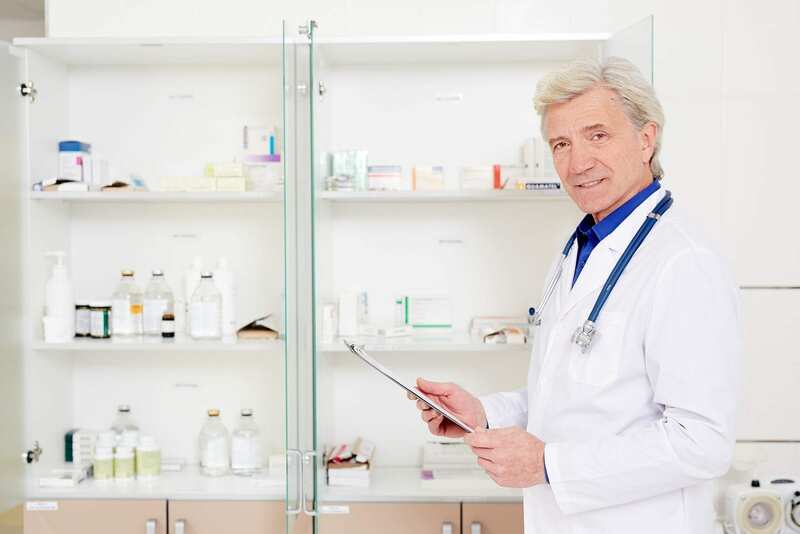 Scientific advances leading to the development of new drugs and increased access to drug coverage are other factors that contribute to the rise in the demand for pharmacy technicians. Pharmacy technicians held 402,500 jobs in 2016. More than 75 percent of the jobs were in retail pharmacies while 16 percent were in hospitals. The median hourly wage for pharmacy technicians in May 2016 was $14.86. The annual wage was $30,920. Certified pharmacy technicians earn more than non-certified technicians. The Pharmacy Technology Program at Delmar College prepares students for success on the national certification exam to become a Certified Pharmacy Technician. Graduates who pass the exam will work as a Certified Pharmacy Technician under the supervision of a Registered Pharmacist to distribute medication and health care products to patients in hospitals or community pharmacies. Students learn how to order, stock, prepare, and package medications, prepare insurance claims, use computerized dispensing systems, and maintain patient records. For the Certificate program, students must complete a total of 51 credit hours. Course topics include Introduction to Pharmacy, Drug Classification, Community Pharmacy Practice, Institutional Pharmacy Practice, Basic Chemistry, Drug Therapy and Treatment, Pharmaceutical Mathematics, Compounding Sterile Medications, Pharmacotherapy and Disease Process, Introduction to Ethics, Pharmacy Law, Computerized Drug Delivery Systems, and Pharmacy Technician Certification Review. Hands-on training in a simulated lab and an externship in a real-world setting would provide additional opportunities for students to develop valuable skills. Del Mar College employs selective admission to admit students for the program. Use the contact information below to learn more about the class schedule and tuition. The pharmacy technician program at SCI is designed for adults who want to make a difference in the lives of patients through the distribution of medication and health care products. The program is delivered in both distance education and traditional formats. Persons who are interested in the online program must meet SCI’s admissions and technology requirements. Online classes are scheduled in an appropriate sequence and require students to complete the coursework asynchronously with other students. Graduates are eligible to register with the Texas State Board of Pharmacy. The curriculum covers a total of 848 clock hours (65 quarter credit hours): 510 theory hours, 170 clock hours, and 168 extern hours. Course topics include anatomy and physiology, customer service, word processing, communication, career readiness, introduction to pharmacy management, diseases of the human body, medical law and ethics, medical terminology, pharmacy computer applications, math for pharmacy technicians, introduction to pharmacy, math for pharmacy technicians, pharmacy technician I, II, and III, and pharmacy technician certification prep. Tuition for the program is $16,550. The duration of the program is 33 to 45 weeks based on the schedule. The online pharmacy technician program at Texas A&M University prepares students for a career in the high demand field of pharmacy. Students will learn how to read patient records, understand medical conditions and anatomy, calculate dosages, and laws and regulations. The curriculum is designed to provide an introduction to the profession of pharmacy. Course topics include pharmacology, introduction to pharmacy, pharmacy rules and regulations, pharmacy operations, medical terminology, anti-infectives, anatomy and physiology, communication, and the future of pharmacy technicians. The program admits new students each month. The duration of the program is six weeks.